Formula 1: 5 big crashes of all time. 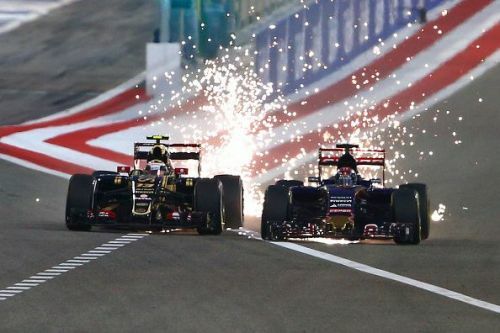 Formula 1 has always been an extremely fancy and enthralling sport to watch. Keeping the viewers on the edge of their seats, it has always brought moments to rejoice but what when it takes a horrific turn? Along with skills and techniques, deadly crashes have been an integral part of Formula 1. In the 21st century Formula 1, gathered great criticism from across the world due to insufficient action between cars resulting in decreased entertainment level. Lethal crashes so far have cost life of 50 drivers since the sport began at Silverstone back in 1950. With advancing times came new technology and increased safety measures that eventually pushed down the number of casualties in Formula One. We wish these horrendous incidents don't get repeated Ever again. According to the Formula 1 history, this was the most dreadful crash that ever took place. It could not have been worse as it took away the life of an invincible triple world champion and left the world in deep despair. The misfortune occurred when Senna collided into barricades at blinding speeds, it seemed he was fine initially but then the unthinkable happened and stewards brought out the red flags, bringing the race to an abrupt stop. He was air lifted to the nearest hospital but destiny had different plans for the legend and formula one suffered a profound loss as the hero breathed his last. Formula 1: 5 Best Teams of all Time.